John Maus is a former professor of philosophy and authority of medieval music. 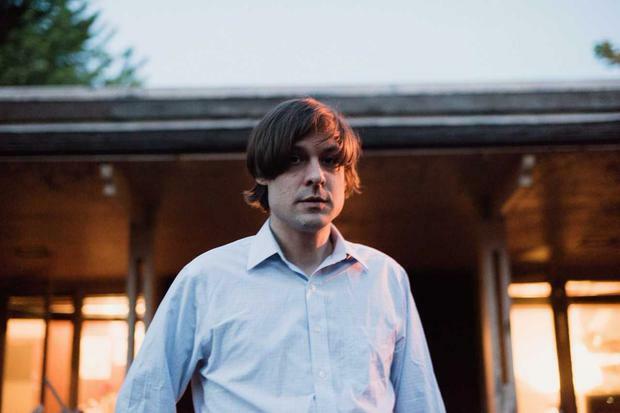 With a haircut borrowed from Javier Bardem’s homicidal loony in No Country For Old Men and a dad-dancing-on-steroids performance style, John Maus is not your everyday electro-pop cult figure. However far-fetched, the formula has struck a chord: his Dublin show sold out in a heartbeat, and signs outside the venues warned disappointed stragglers it was no use trying to get in. Those lucky enough to have a ticket were treated to 70 or so minutes of baroque synth pop by a performer whose frantic persona coexisted, not always uneasily, with delicately introspective music. Bombs Away and Rights For Gays, for instance, were pop hymnals, delivered by a huffing iconoclast wrestling with demons and apparently coming off second best. Minnesota-born Maus is a former professor of philosophy and authority of medieval music. Given his background, there’s a temptation to take his adventures in alternative pop as meta commentary on outsider art, with the singer’s over-the-top stage presence a painstaking construction. But it’s just as plausible that it’s all entirely in earnest. He certainly seemed genuinely in the grip of forces slightly beyond his control as he aggressively mussed his hair and thumped his face. Either way, the audience adored every note, fists punching the air as he pummelled his way through “hits” Time To Die and Cop Killer. He’s as far from a conventional pop star as is imaginable – nonetheless, with punters pogoing and his duo of backing musicians stirred to a polite frenzy, this was a Maus that roared.